Despite solid reviews and a strong cast, Danny Boyle's trippy, hyper-sexual heist flick Trance was one of the lowest-grossing of his career. The $22M worldwide total it pulled in ranks lower than less-recognized Boyle films like Millions and Sunshine, and is only 1/3 of what his previous film 127 Hours cleared three years earlier. Despite its box office failure, Boyle isn't letting that take him far from the heist genre for his next project. 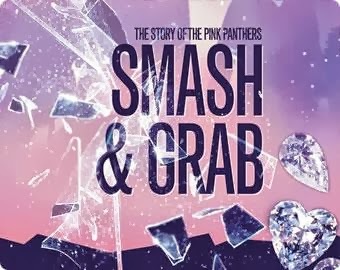 Variety reports that Boyle will direct a feature adaptation of Smash & Grab: The Story of the Pink Panthers, a documentary released earlier. The original film was directed by award-winner Havana Marking (from 2009's Afghan Star) and centered on the Pink Panthers, wildly successful international jewel thieves with over 300 thefts to their credit. The film included interviews with members of the Panthers and used closed-circuit television footage and fictional recreations to depict some of their most famous heists. Boyle apparently saw the film and became a huge fan, pushing producers at Fox Searchlight and Pathe to help make this happen. There are no writers on board so this is probably very early on, but any time Boyle takes on something new it's worth keeping a close eye on.